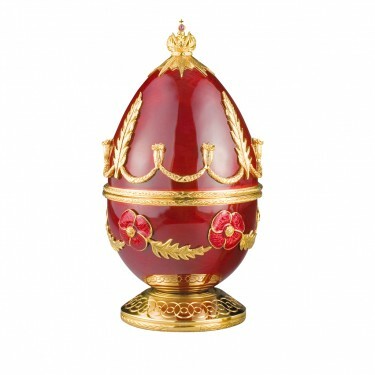 Inspired by the significance of the poppy as a remembrance and Carl Fabergé's love of flower surprises, Theo Fabergé designed his Poppy Egg to follow the family traditions but within his own style. 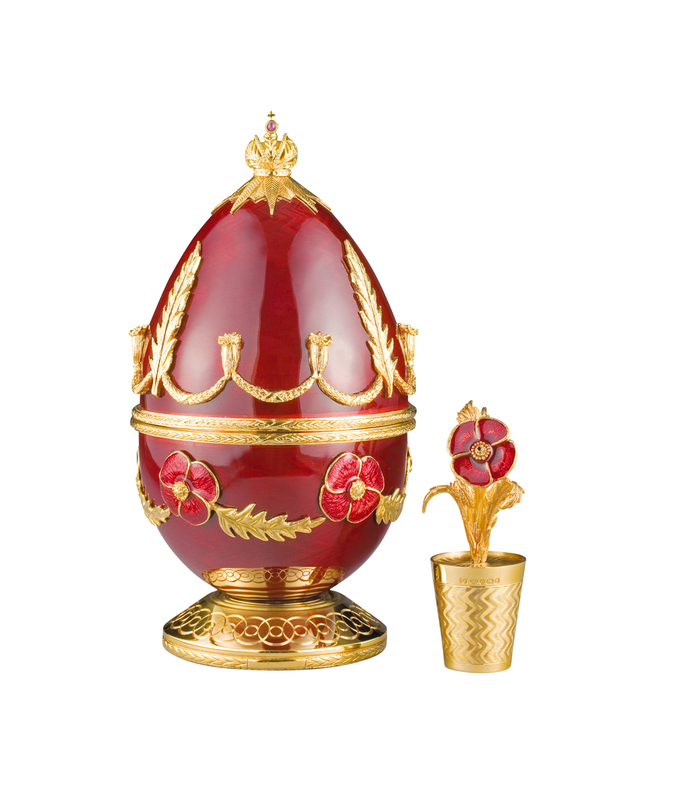 Theo designed beautiful creations for six decades and used six cut white diamonds in the poppy seed pods which is part of the decoration on the outside of the traditionally enamelled Egg. The Egg is made using materials and techniques made famous by the Fabergé family. 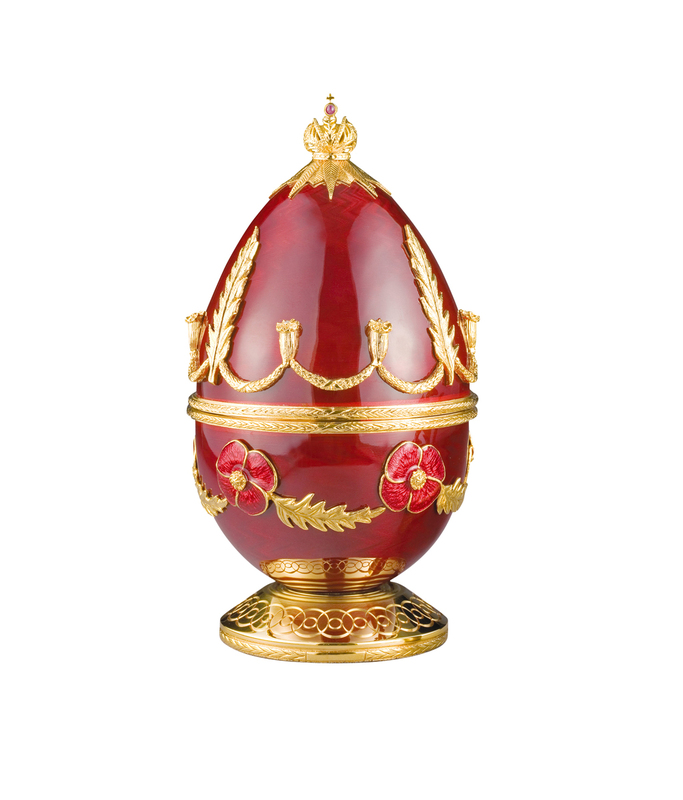 The Egg is engine turned and then guilloché enamelled in deep cherry red - probably one of the most difficult enamel colours to achieve. 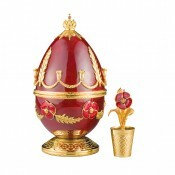 The base, turned on Theo Fabergé's Holzapffel lathe, has stylised interlocking poppies. The surprise within is a flower pot with a poppy in bud and flower. The enamelled poppy is set with a full cut black diamond in the stamen. The flowerpot, engine turned, lifts out as a separate creation and bears the full hallmark.